Traveling to Hong Kong is very popular among international travelers. Hong Kong is small and urban, so it is роѕѕіblе to see the most of the highlights in just a few days by traveling around the island on foot or using public transportation. A melting pot of culture, Hong Kong diversity is a huge part of what makes it so incredible. From ethnic enclaves, each with its own traditions, to shiny skyscrapers that soar in the skyline, the city boasts an enticing blend of old and new. With so much to see and do in Hong Kong. A visitor to Hong Kong will never be bored. As you depart you will find thinking of your next trip back to Hong Kong. Nationals of the US, Europe, Australia and New Zealand don’t require a visa to enter Hong Kong for stays of up to 90 days and six months for UK nationals. You will need six months validity on your passport. If need more information on visa requirements if planning on going to Hong Kong, you can visit their nearest embassy or visit this website. Hong Kong does not have a tipping culture. You will notice that hotels, bars and restaurants charge around 10% service charge on top of the prices quoted. In hotels, tipping is considered mandatory for bell boys and maids. Hong Kong has a subtropical climate, with its only district seasons. With the average temperature ranging from 12 – 32c. Hong Kong is a one of the safest places to visit in southeast Asia. Anyway, you should always be careful and use common sense will your belongings and your safely while traveling. Like any other country, Hong Kong has its scams and bag snatching. Like been at home be vigilant at ATM’s and beware of pickpockets. You should be careful. Remember to report a crime it. Hong Kong Island is the political and economic center of Hong Kong. This is also called the ‘Central’. This is the place the British took as their own and so if you are looking for historical sites from the territory’s colonial past, then this is a good place to explore. Everything in Hong Kong Island is compact and can be explored in a few days. You’ll find skyscrapers, museums, shopping malls and restaurants on Hong Kong Island. The Peak is the highest peak in Hong Kong. From this spot, visitors can see the scenery of Hong Kong. The evening is a good time to see the sparkling skyscrapers in Hong Kong. The Peak is also famous as an elite location in Hong Kong since colonial times. So, it can be a good idea if you want to witness the greatness of Hong Kong city from the peak. The historic Peak Tram runs continuously from 7am until midnight and gives passengers plenty of time to see all the views of the city. Get on board from the Garden Road terminus in Central and its only HK$65 for a return ticket. 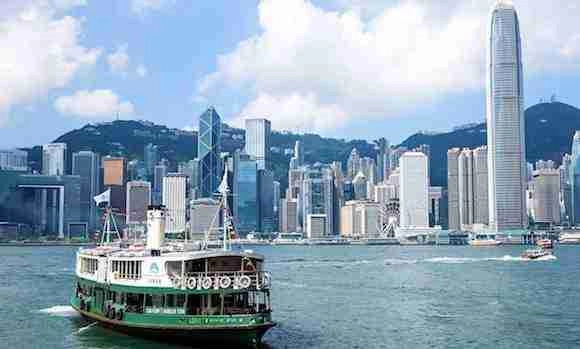 Since 1888, the Star Ferry has been providing transport by boat from Hong Kong Island to Kowloon. Today, the Star Ferry vessels continue to operate and has become a top tourist attraction to enjoy. The Star Ferry can be boarded at the Central terminal going to Tsim Sha Tsui terminal. At 8pm everyday, you can see the light show from the ferry. The Hong Kong Zoological and Botanical Gardens is one of the oldest zoological and botanical centers in the world. 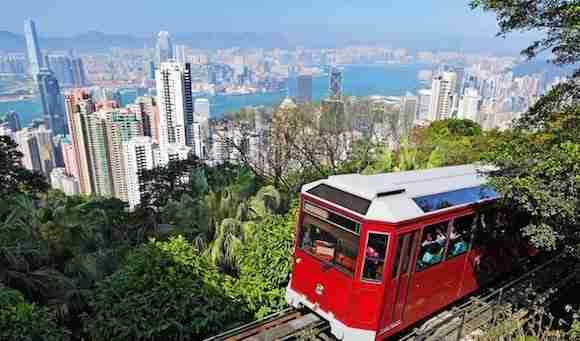 It occupies an area of 5.6 hectares at Mid-levels, on the northern slope of Victoria Peak in Hong Kong. Hong Kong Island has a good variety of guest houses, hostels and hotels. 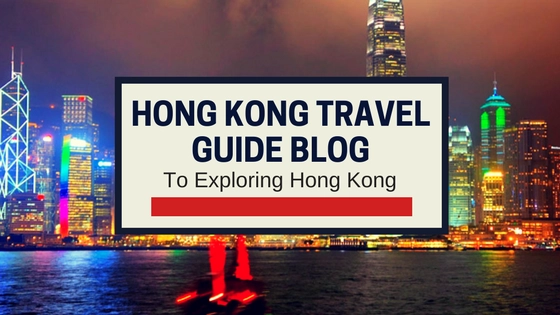 Here are a few places to check out and give you an idea of what is available in Hong Kong Island if you are planning to visit Hong Kong Island. The award-winning 4-star Dorsett Mongkok, Hong Kong is a short 7-minute walk from Olympic MTR Station. Popular tourist destinations such as Ladies Market, Temple Street and Tsim Sha Tsui Clock Tower. It has a 24-hour fitness centre and 24-hour front desk. Additionally, free Wi-Fi is available in all areas. Hong Kong International Airport is a 35-minute drive from the hotel. Dorsett Mongkok also provides a free downtown shuttle bus to Kowloon MTR Station and Tsim Sha Tsui. The air-conditioned units feature mirrored walls. Each room or suite comes with free use of smart phone with free 4G internet and personal hotspot for multi-device connectivity. Hang Ho Hostel is in Hong Kong, just steps away from MTR Jordan Station. It features basic air-conditioned rooms. Free Wi-Fi access is available. The property is a 5-minute walk from Temple Street Night Market and a 10-minute walk from Jade Market. It is only one metro stop from the bustling Tsim Sha Tsui, where a wide selection of shopping malls and restaurants can be found. Hong Kong International Airport is a 30-minute drive away. Residence G is centrally located in Hong Kong, just a 5-minute walk from Tsim Sha Tsui Station. The hotel provides modern accommodation with free Wi-Fi. The rooms have mobile sound system and offer views of the city. It takes 30 minutes by car from the hotel to Hong Kong International Airport. The hotel is just a 10-minute walk from Avenue of Stars and Star Ferry Pier. There are several museums and art galleries within a 5-minute drive of Tsim Sha Tsui District. The rooms here will provide you with air conditioning, a minibar and writing desk. They are artfully decorated and feature a private bathroom equipped with free toiletries. Kowloon is an urban area that is located north of Hong Kong Island. Once, Kowloon was home to farming and fishing communities for hundreds of years until 1860, when the British first occupied Kowloon. Today, there is museums and galleries to the city’s finest night markets and an awesome promenade that is perfect for strolling around and checkout the cities skyline. You are never stuck for something to do in Kowloon. Kowloon is full of skyscrapers, museums, shopping malls and restaurants. Here you will find the famous Tsim Sha Tsui Promenade which is a great place to start exploring. 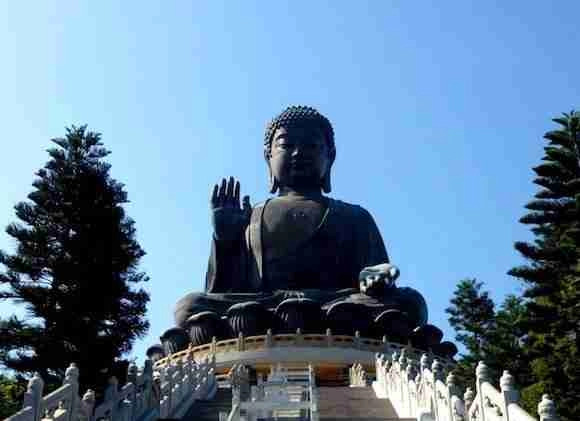 Here are a few things to see and do in Kowloon. Get the best views of the iconic Hong Kong skyline along Victoria Harbour by getting onboard the Star Ferry at the Tsim Sha Tsui terminal and setting sail to Central. There are 12 boats in the Star Ferry fleet and the crossing only takes seven minutes, so have your camera at the ready. This market is properly the more famous market in Hong Kong and is located on Temple Street. It sells everything from accessories, clothing, souvenirs, and other items. You can get great souvenirs at the temple street night market. Hong Kong Symphony of Lights is the world’s largest permanent light and sound show according to the Guinness World Records. This nightly spectacle combines interactive lights of 45 key buildings on both Hong Kong Island and Kowloon with musical effects to showcase the vibrancy and glamorous night vista of Victoria Harbor. Here are a few places to check out and gives you an idea of what is available in Kowloon. Alohas Hostel is in the heart of Jordan, just a 5-minute walk from the lively Temple Street Night Market. All the rooms at Alohas are cooled with air conditioning. Select rooms have an en suite bathroom with a bathtub and hot-water shower. Free Wi-Fi. This modern building is located only a 1-minute walk from Jordan MTR Station. Hong Kong International Airport is 45 minutes away by car. All rooms and suites at Cordis Hong Kong are equipped with high-speed WiFi, a free-to-use smart phone, LED TVs. Cordis Hong Kong is a 45-minute drive from Hong Kong International Airport. The hotel is less than 1 km from Ladies Market, Temple Street Night Market and Flower Market. The wellness facilities include a fully equipped fitness centre, two fitness studios and an outdoor heated pool, along with the Chuan Spa, which features over 60 unique treatments. The Green House offers accommodation in Tsim Sha Tsui, 100 m from iSquare. Offers free Wi-Fi. Each room at this guest house is air-conditioned and has a flat-screen TV. All rooms have a private bathroom equipped with a bath or shower. Extras include slippers and free toiletries. Hong Kong is surrounded by some 260 outlying islands, most of them uninhabited. These islands offer seem a world away from the city’s hectic pace. 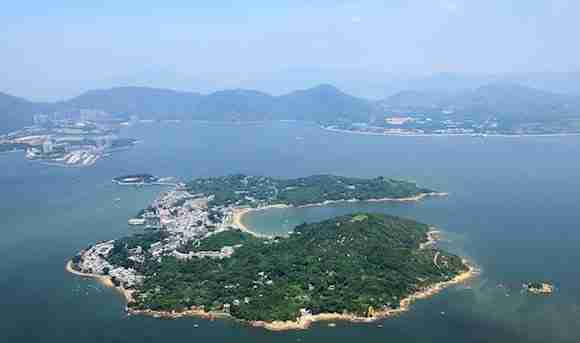 Three of the most accessible and popular islands are Lantau, Cheung Chau and Lamma. Fares to the islands are a bargain. Monday to Saturday, tickets for ordinary ferries cost just HK$12 to HK$18 for ordinary class and HK$18 to HK$22 for deluxe, depending on the destination. Fares are slightly higher on Sunday and public holidays. Prices range from HK$17 to HK$20 for ordinary class and HK$26 to HK$32 for a deluxe ticket. Fast Ferries range from HK$23 to HK$37, depending on the destination and the day of the week. Children and seniors pay half price. The outlying islands have a lot to offer from market stalls, restaurants, street food to temples, caves and Disneyland. Here is an overview of the islands. 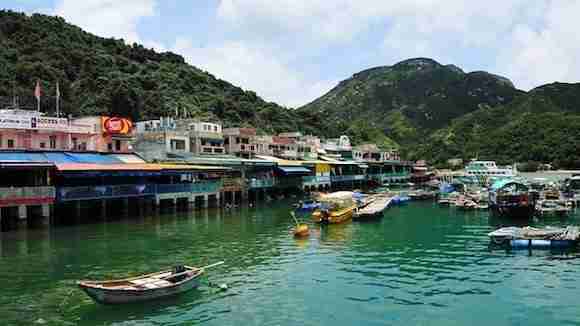 Cheng Chau is more of a for a one-day visit. It offers a full array of shops, restaurants and beaches. 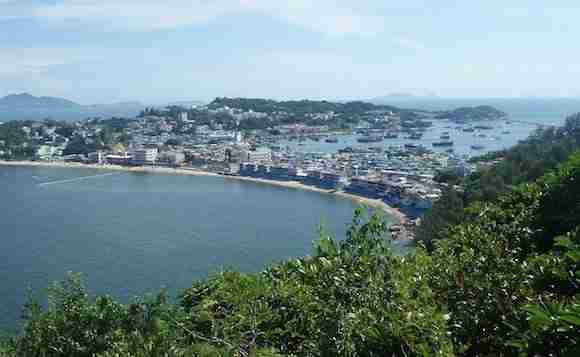 The islands two biggest beaches are Tung Wan and Kwun Yam Wan. While on Cheng Chau, try to see the Mini Great Wall, Kwan Kung Pavilion, Yuk Hui and Pak Tai Temples and the cave hideout of a notorious 19th-century Chinese pirate. This is Hong Kong’s largest outlying island is home not only to Hong Kong’s airport but also a giant bronze Buddha statue, Hong Kong Disneyland, beaches, forests and hiking trails. Its properly the easiest outlying island to reach from Hong Kong. After Lantau and Hong Kong, Lamma the 3rd largest island. Food and activities come at a lower price here. Lamma is a bohemian blend of east and west and a popular place for expats to live. This Island is of culture, fresh seafood and temples. The island offers hiking trails, food and is rich in history. The Outlying Islands has limited hotels and guesthouses. Here are a few places to check out and gives you an idea of what is available in Outlying Islands. This property is 1-minute walk from the beach. Situated just a minute’s walk from the white sands of East Bay, Warwick Hotel Cheung Chau offers rooms with sea views. It houses 2 dining options, a seasonal outdoor swimming pool, and a spa. The hotel is a 5-minute walk from Cheng Chau Ferry Pier. To get to Hong Kong International Airport from the hotel, guests must first take a 30-minute fast ferry ride to Central Pier, followed by a 30-minute Airport Express train ride. From Central Pier, it is a 5-minute walk from Hong Kong MTR Station and the IFC Shopping Mall. Warwick Hotel is approximately an hour away from the Hong Kong International Airport, by a combination of a 30-minute Airport Express train ride and a 30-minute fast ferry ride. This property is 2 minutes walk from the beach. Bayshore Inn features free WiFi and views of mountain in Hong Kong. Boasting luggage storage space, this property also provides guests with a restaurant. 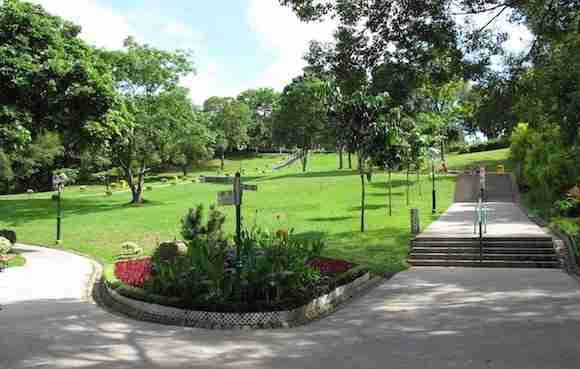 The property is set 6 km from Ocean Park. The rooms in the inn are fitted with a kettle. The rooms include air conditioning and a flat-screen TV, and certain rooms at Bayshore Inn have a balcony. The units include a desk. Guests at the accommodation will be able to enjoy activities in and around Hong Kong, like cycling and hiking. Offering sea view balcony and hill view rooms, Man Lai Wah Hotel is located in the third largest outlying island in Hong Kong, Lamma Island. Free WiFi is available throughout the property. It takes a 25-minute ferry ride from Central Pier No. 4 to Yung Shue Wan Ferry Pier and another 1 minute’ walk to the property. Finally, once you visit Hong Kong, you will have plenty of things to visit, explore, discover and with many more things to do in Hong Kong. Perhaps, you can explore in your own way when you get there. All you have to do is to choose the activities you prefer and start enjoying what Hong Kong has to offer. And that’s it for now! Let me know if you have any questions and let me know if you go too. 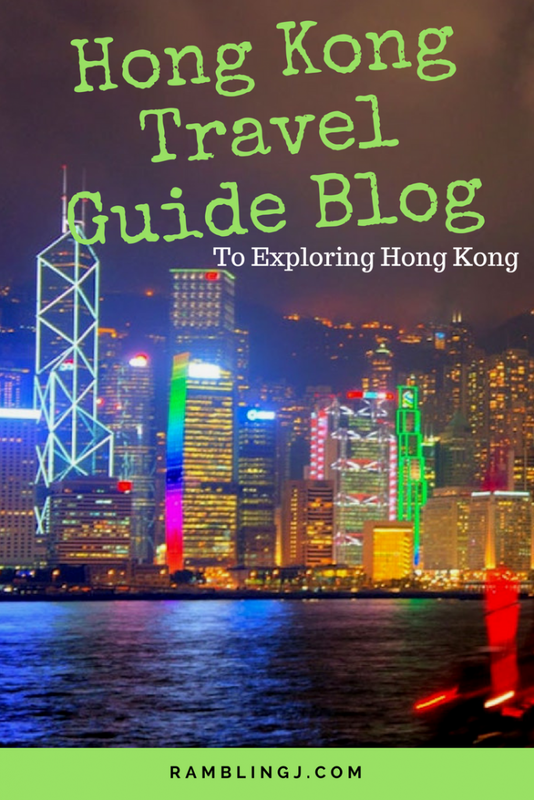 I’d love to know if this guide on the Hong Kong Travel Guide Blog To Exploring Hong Kong has helped you. Yоu are guаrаntееd that you will go home with many some awesome memories of Hong Kong.